I agree with the previous reviewers. A nice pub, pleasant staff and good food. I had a kedgeree which was really top notch; someone in the kitchen really knows what he or she is doing. Shame the only ale is Adnams, but if you're going to be limited to a single brewery then Adnams is not a bad one to choose! My pint of Fat Sprat was very enjoyable. If you want to find a nice country pub tucked out of the way and the bonus of a garden overlooking the Norfolk Broads then this is the place to be! 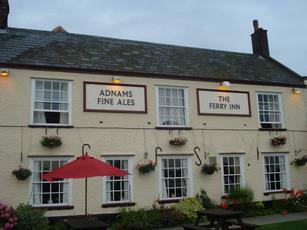 Nicely kept Adnams beers, good food and a friendly welcome. My favourite pub from my Norfolk Broads holiday! Attractive pub located directly on the river bank with its own moorings, also more public moorings alongside. Good choice of real ale. Large garden with outdoor seating. The staff were helpful and friendly. A large group of us, adults, kids and dogs had a meal (well not the dogs) and although the pub was busy the food was served promptly. Nice menu and food was well cooked and not too expensive. There is also a little park with childrens play area just across the road. Shame I only managed to visit the once.